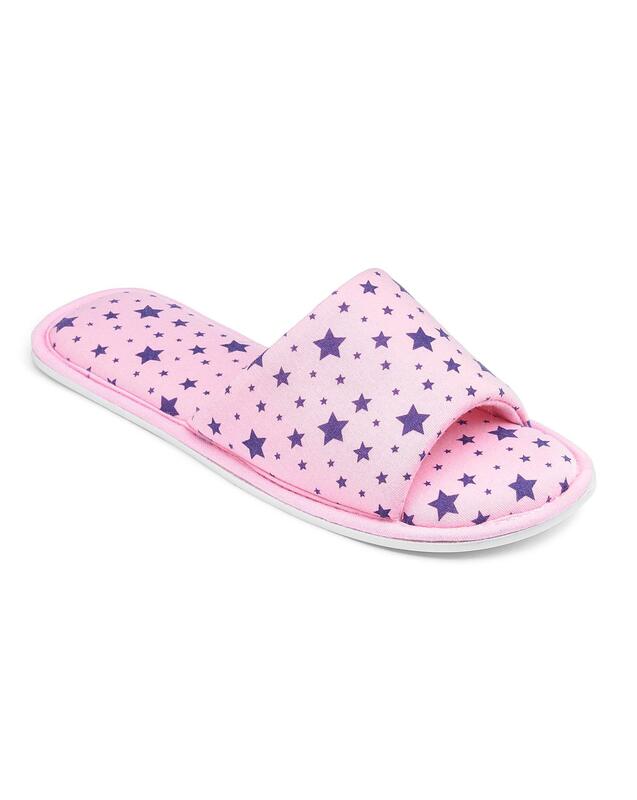 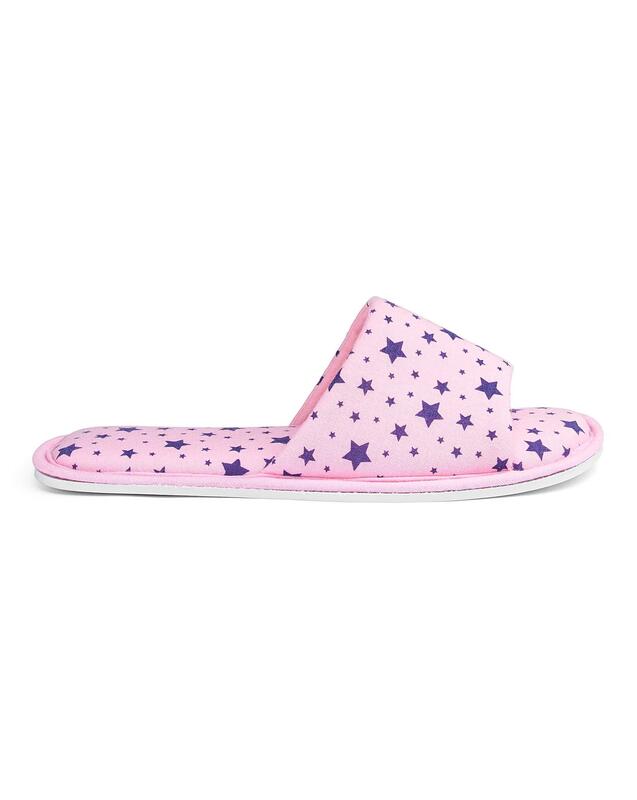 These flat pink slider slippers are great value and perfect for lounging around in. 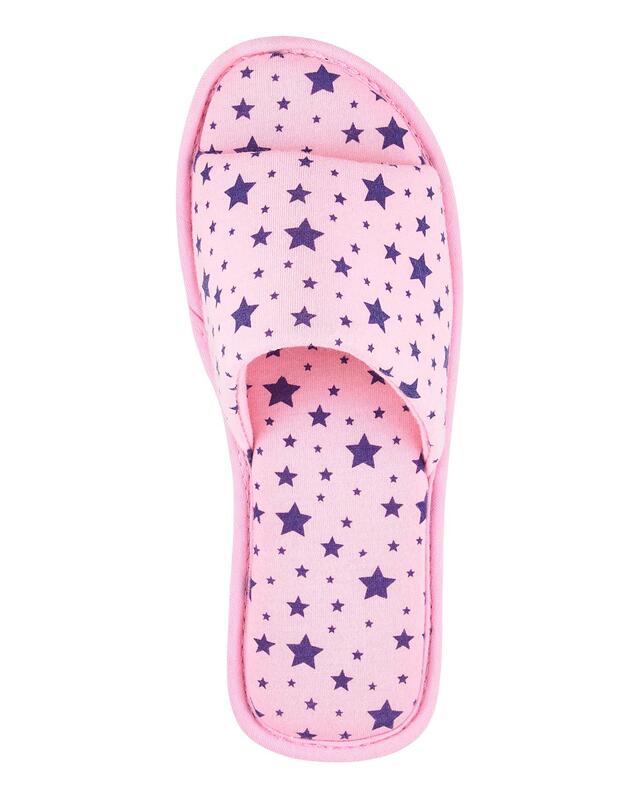 Pick up a pair to slip into as soon as you get home! 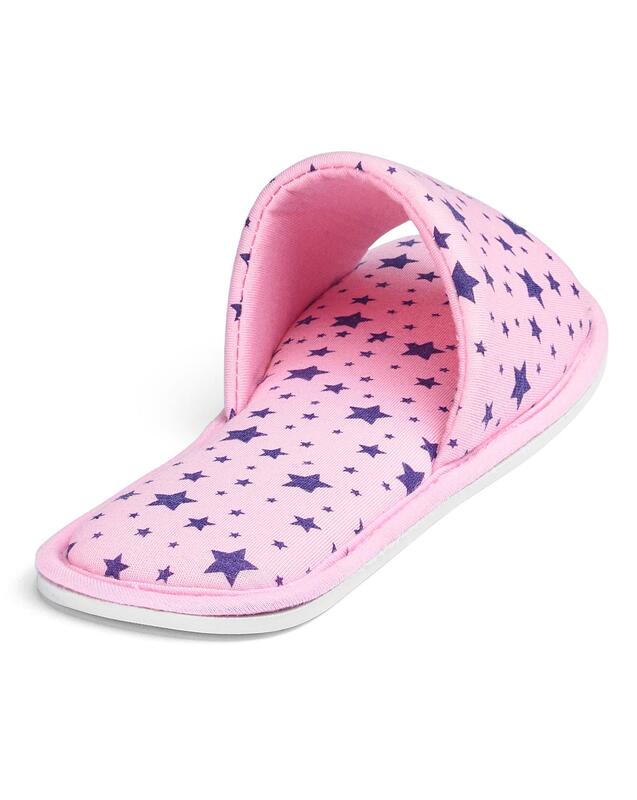 S = 3-4, M = 5-6, L = 7-8.